In Singapore, many were conditioned into believing our grades and academic qualifications would determine our financial prospects and quality of life as adults. Everywhere we went, people would ask how you scored in your exam never hesitated to compare against their own children. Heck, even the fishmonger was interested in the number of As and Bs you have in your report cards. Can you imagine that? Thinking back, it was almost laughable that the grades we so focused on will become somewhat irrelevant years later because many of us these days would rather pursue an interest or passion than to go into auditing just because we graduated with a degree in it. In fact, one of the most highly sought after skill by 2020 is reportedly creativity - something living by the books will never teach us. In an age where the arts is increasingly encouraged, you'd think our teens are having it easier. But truth is, they're not. School itself contributes a great amount of stress to these kids. And we all know how stress is a silent killer if left unattended. According to a Health Plus piece, Singaporean kids could be cultivating habits that are increasing their risk of heart disease in the future. These are 3 common habits that could harm their health, even from a young age. Teens are advised to get at least nine and a half hours of shuteye nightly. I know what you’re thinking. “Nine and a half hours!? Are you kidding me?”. I can't say for sure that those sleepless nights were worth it but I can tell you now that sleep deprievation can lead to health conditions like high blood pressure and high cholesterol – both of which are pre-cursors of heart disease. And if you didn’t already know, you live with heart disease your entire life. There is no cure and you’re basically living with a bomb in you, waiting to explode. Now, that’s not the kind of life you want, right? And I don’t mean underage drinking, although that is an entirely different problem on its own. Kids these days tend to indulge too much in sugared drinks for the sole purpose of staying awake. Yes, yes. I know you students have got it tough and with 8-9 subjects to handle. With so much to digest in a single day, you’d want to stretch the hour. And so to keep wide-eye for a little longer, you down that can of energy drink to fill yourself with caffeine. But did you know that too much caffeiene can cause irregular heartbeats even in healthy people? So you could be in a sports CCA, training 3 times a week but over-dependence on caffeine is still going to do terrible things to your heart health. And the impacts are even worse for those with underlying conditions. Additionally, too much sugared drinks is a major factor leading to obesity and diabetes. Everything your teachers tried to teach you about smoking – they were right. As teens undergoing puberty, there is a lot of peer pressure to want to fit in and be part of the popular kids. I wish I could tell you just how important it is to retain a self identity and just be you because there is no other you in this world. And you are one unique, beautiful individual even if you don’t smoke. Unfortunately, many teens pick up smoking to fit in with their friends. And it’s hard to kick the habit. Among young people, smoking is reportedly accountable for 75% of heart disease cases. That means to say for every 4 friends, 3 of them are likely to suffer from heart diseases as a result of smoking. Talk about a sobering thought. According to tobaccofreesingapore.com, 3 children in every Primary 6 class in Singapore today will eventually be killed by tobacco. 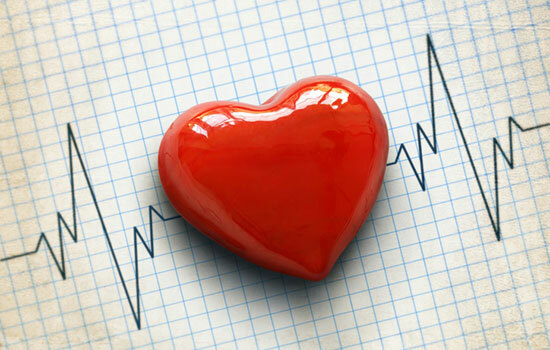 By starting smoking at a young age, you put yourself at higher risk of heart failure. I leave it this information in the good hands of all of you who know a teen, to spread on this information to them and hopefully help them cultivate better habits to support a healthy lifestyle. And if you’re a teen yourself, I hope this becomes a driving force to change your current habits to ensure you do not fall prey to the traps you unknowingly lay for yourself.